How did God find its way into the Preamble to the Canadian Constitution – and what can be done about it? The Canadian Secular Alliance is pleased to offer you a unique evening with Deborah Coyne, Canadian constitutional lawyer, author, professor, and former Liberal Party of Canada leadership candidate. 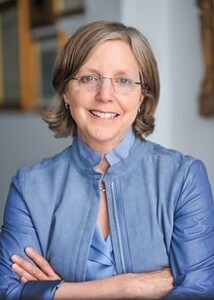 Deborah Coyne was heavily involved in debates surrounding the Constitution Act, the Charter of Rights and Freedoms, and the proposed Constitutional amendments during the 1980s and 1990s. From 1989 to 1991, Coyne was constitutional advisor to Newfoundland Premier Clyde Wells. Deborah Coyne will briefly explain the background to the preamble, its origin, the context in which it came about, and how any reform to the preamble – such as its secularization to remove invocation of God – might be approached. She will then participate in an open discussion.